Fourteen lines of artisan beer on draft. A wood-fired pizza oven and a raw bar. Orders that make it to the kitchen via an iPad at every table. 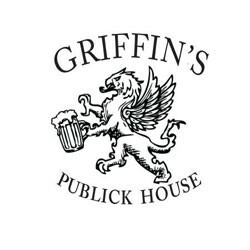 This could be the hottest new place in Burlington or Montpelier, but Griffin’s Publick House is at 42 Center Street in Rutland. That will include pizzas prepared in a wood-burning oven in the glass display kitchen. Charcuterie, confits and other cuisine reflecting classic French techniques will also be on the menu, as well as humbler staples such as burgers and poutine. And, yes, guests will order them all using an iPad. Harder says that Griffin’s will be the first restaurant in northern New England to use this app, in which diners click on a dish’s image to order it. Apparently the new branch of Small Dog Electronics won’t be the only way to get a dose of technology in Rutland — and Griffin’s is sure to be the tastier of the two.